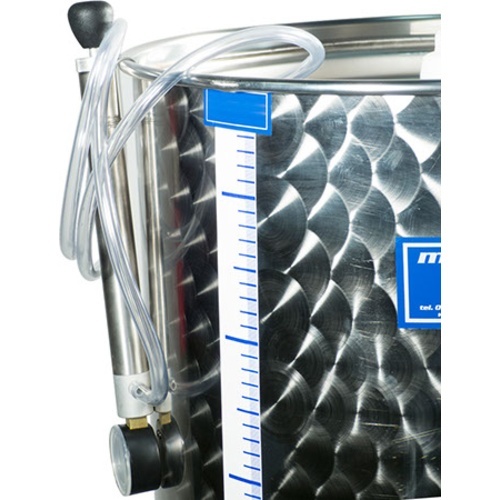 Variable capacity tanks are stainless steel flat bottom (legs sold separately) fermentation tanks with a floating lid to allow for varying capacities of fermenting beverages. 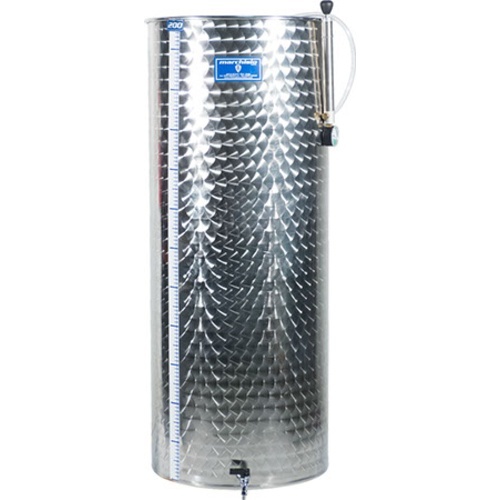 Every tank is made with AISI 304 stainless steel, however AISI 316 available at an extra charge. 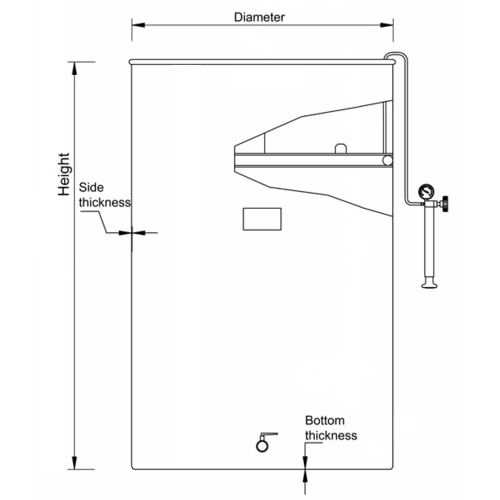 All tanks have a marbled finish on the outside, and a smooth polished finish inside. 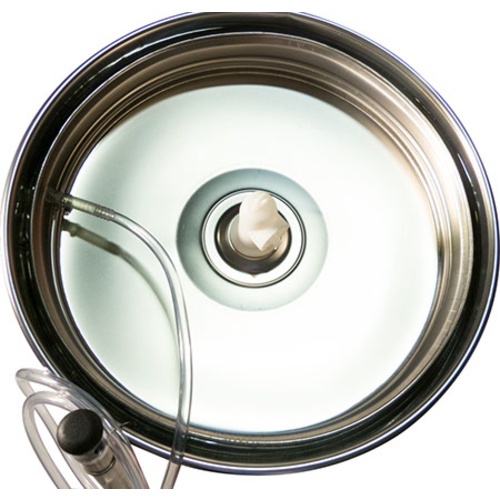 Tanks include: Floating lid, air pump, food-grade air tube, plastic tubing, tubing clamps, dry airlock, and one BSPP chrome plated brass ball valve.